10,000 Boomers turn 65 years old every day. Here is how it looks on a chart. Empty nut shells piled high for the old folks…. These costs will be exceeding $1 trillion per year in the near future. Meanwhile, the number of workers per retiree will continue to fall as it has for decades. In 1945 there were 42 workers per retiree. In 1965 there were 5 workers per retiree. 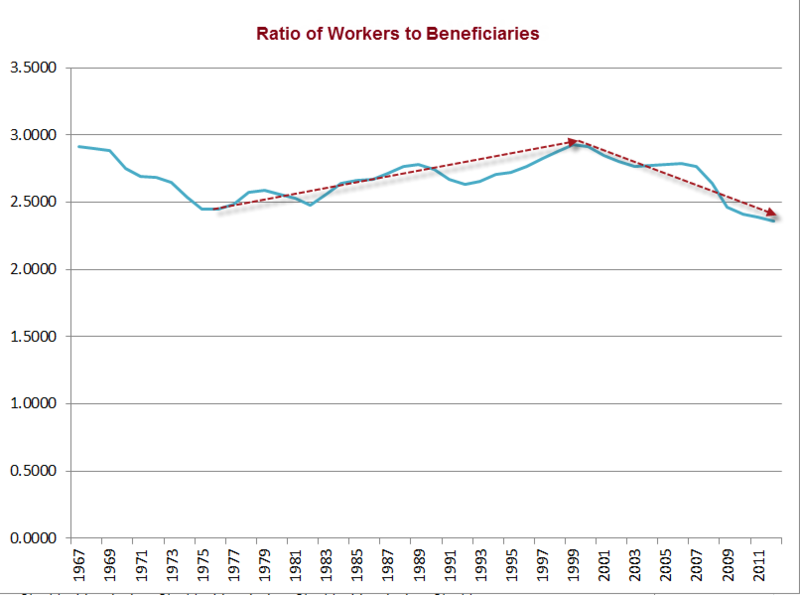 Today there are less than 2.5 workers per retiree. There are only 1.6 full time private workers for every one retiree. 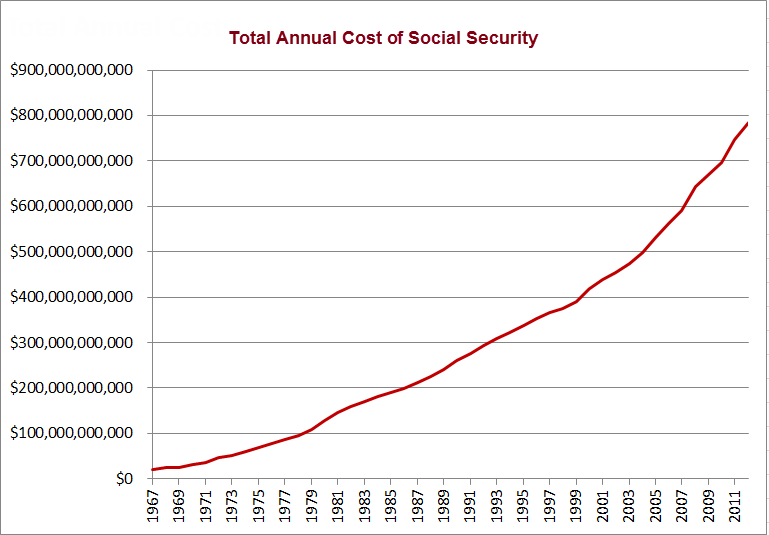 With Obamacare working its magic of destroying jobs across the land, there is much less revenue going into the Social Security System. The system is unsustainable and ignoring the problem will not make it go away. A recent article on Bloomberg below barely scratches the surface of the massive fraud going on in the SSDI program. Those who think we owe them a living are faking disabilities by the millions. The number of annual applications were flat at 2.1 million per year between 2004 and 2007. They now exceed 3 million per year, as the Obama administration has actively attempted to get more people on the dole. In a matter of a couple years, there were suddenly 40% more people getting disabled. Amazing!!! Shockingly, as 1.4 million people have been kicked off the 99 week unemployment rolls, the number of people applying for SSDI skyrocketed. Just because Wall Street and areas of corporate America commit fraud on a massive scale does not mean we should look the other way when lowlifes in our community do the same thing on a smaller scale. The working middle class pays the bill for the cost of both frauds. More than 90% of all the people who go onto SSDI never go back to work. This program was supposed to be short term until people could recover and go back to work. There are now 8.83 million people so disabled, they supposedly can’t work. There are only 12 million officially unemployed people in the country. The government is so incompetent, they barely check the applications for SSDI. Anyone with an ounce of brain power (this disqualifies anyone on MSNBC) knows that at least 50% of the people on SSDI are capable of some form of employment. Ok the Peruvian deep wave at my school i begged my parent for getting me some plus they finally did! These are so fashion and wonderful! they can be so great.